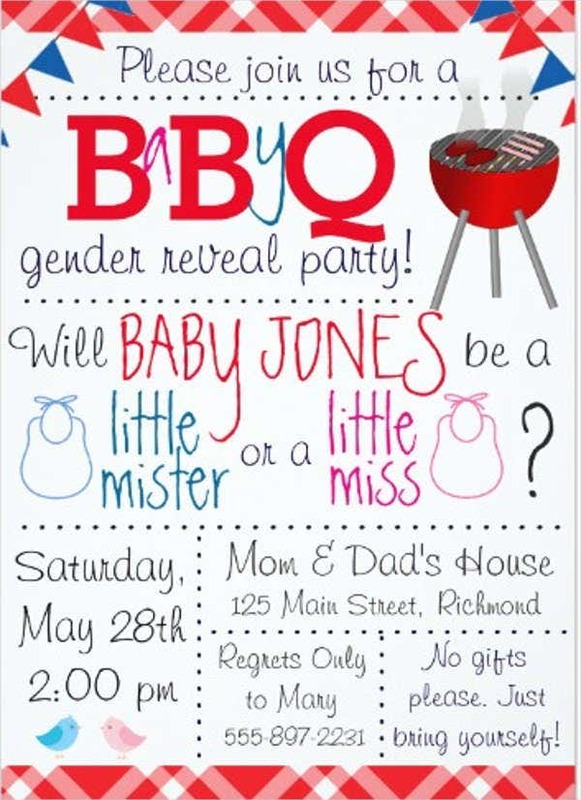 A gender reveal party is hosted by a couple who would like to announce the gender of their baby to close friends, family, and relatives. 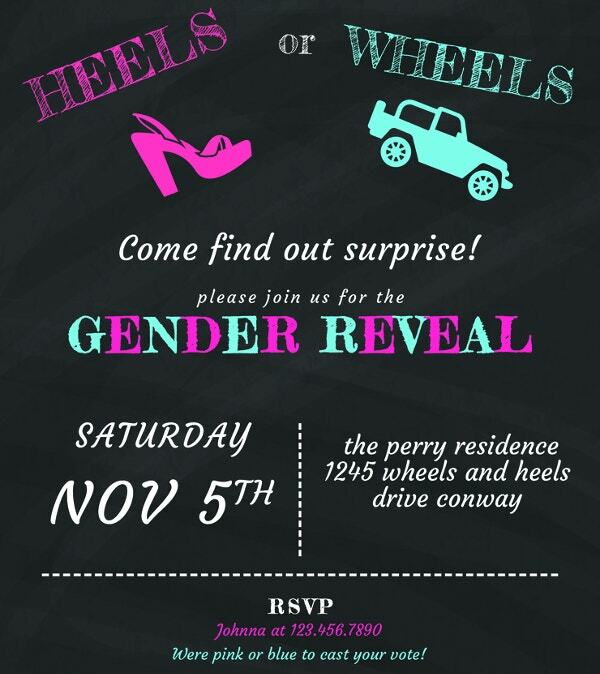 This event provides excitement and anticipation for the guests who are waiting for the baby to be born. Usually, the gender of the baby can be known between eighteen to twenty weeks of the pregnancy stage. This still varies depending on the pregnancy condition of the mother. 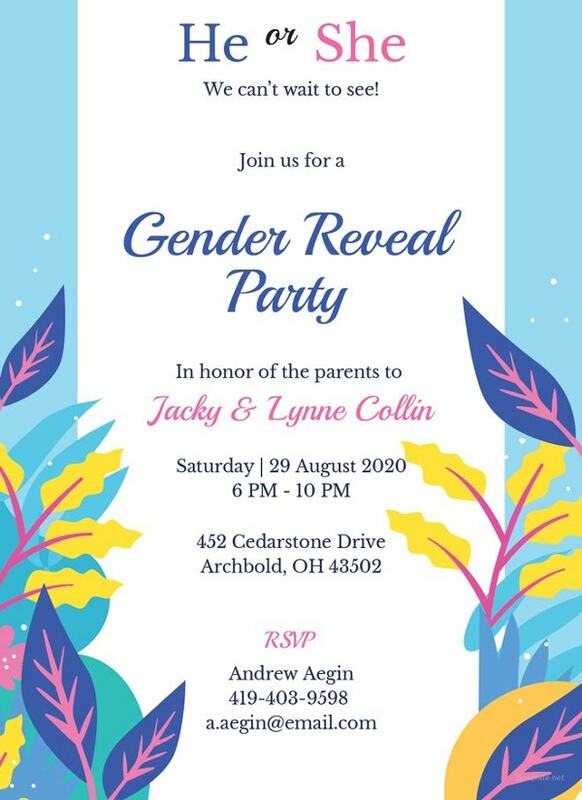 We can provide you with gender reveal party invitations so you can have references in creating this kind of invitation for the gender reveal party that you will organize and host. Aside from that, we can also give you downloadable samples of an Invitation Template, which may be used as invites for other functions and event programs. 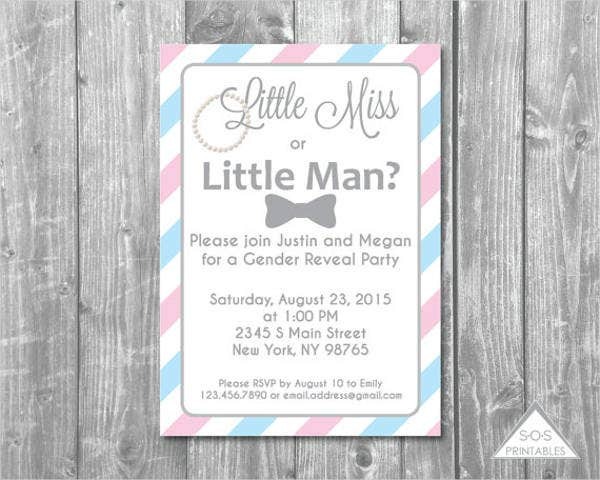 Make sure that there will be no hints of the baby’s gender in the party invitation. 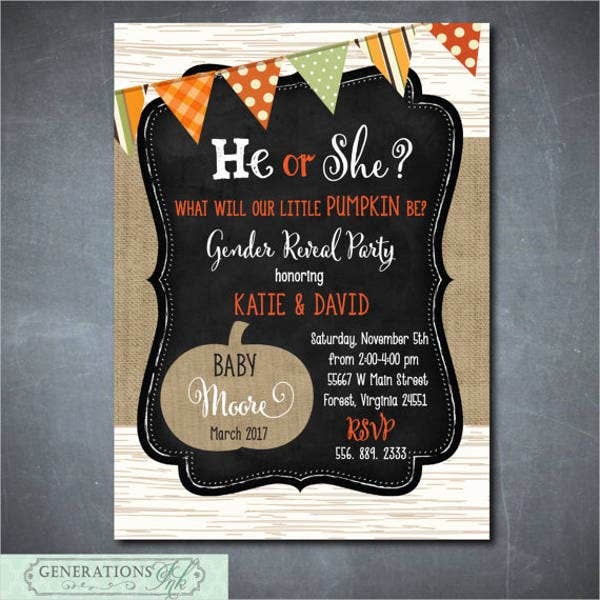 Focus on unisex designs or other design materials that may be appropriate for a baby boy and a baby girl. 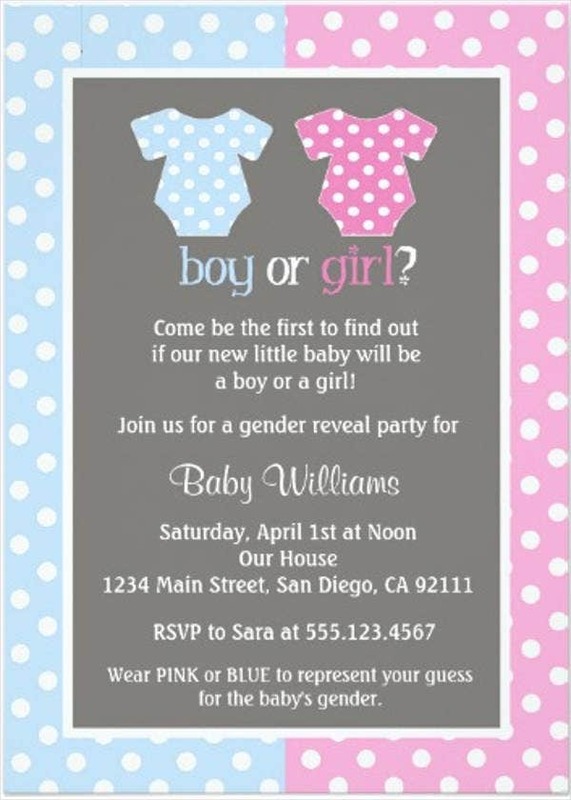 You may collate individual gender designs of different sexes so to create more confusion about the gender of the baby. Make sure that you will write all the information that are needed to be known by the invited guests. 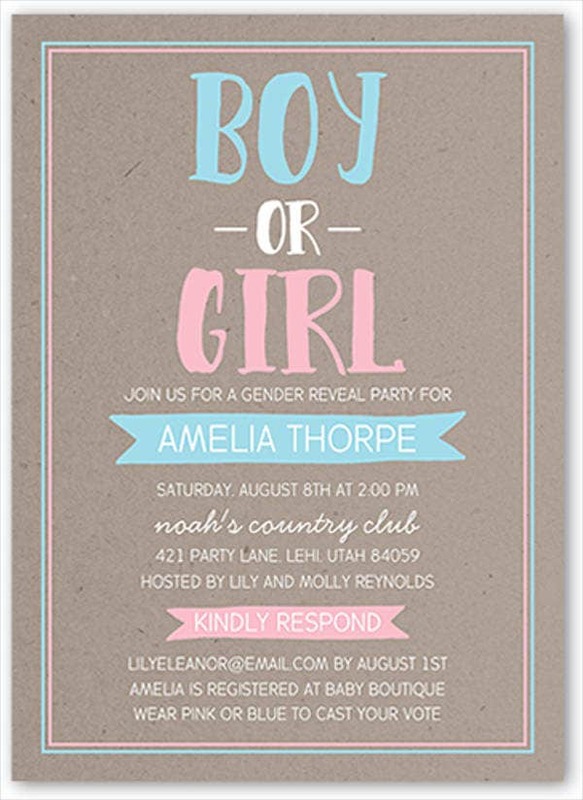 Aside from our gender reveal party invitation templates, we also have other kinds of Party Invitation Template samples, which you may use as references in creating invitations for different kinds of parties and celebrations. 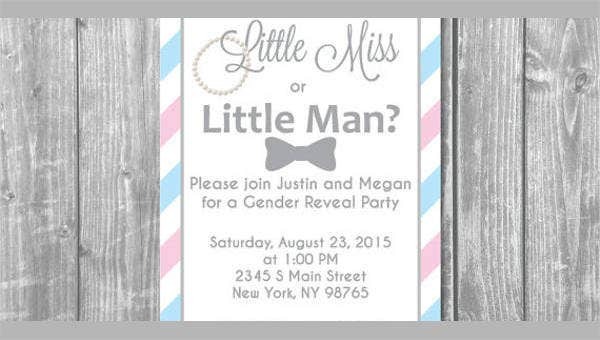 Moreover, if the samples of our gender reveal invitation templates in this article is not enough, we still have more Gender Reveal Invitation Template samples, which you may browse through and download. 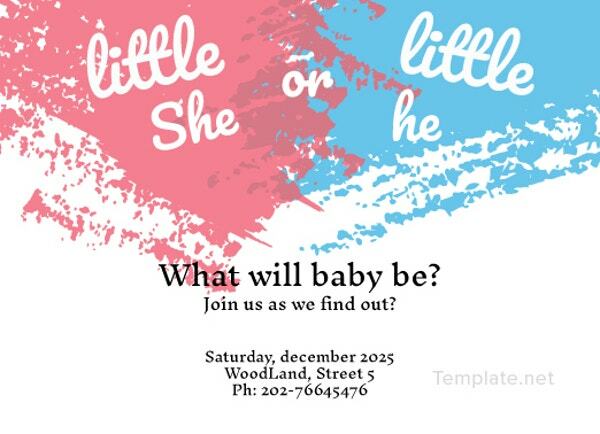 You may use different items that can be scratched, divided, or cut off to reveal the gender of your baby, which will depend on the color or information that is within the object. Before announcing the gender of your baby, you may have a tally of the guesses of your guests with regard to the gender of your baby. You can also let them speak on why they think that it is the gender of your baby based on the conditions of your pregnancy. 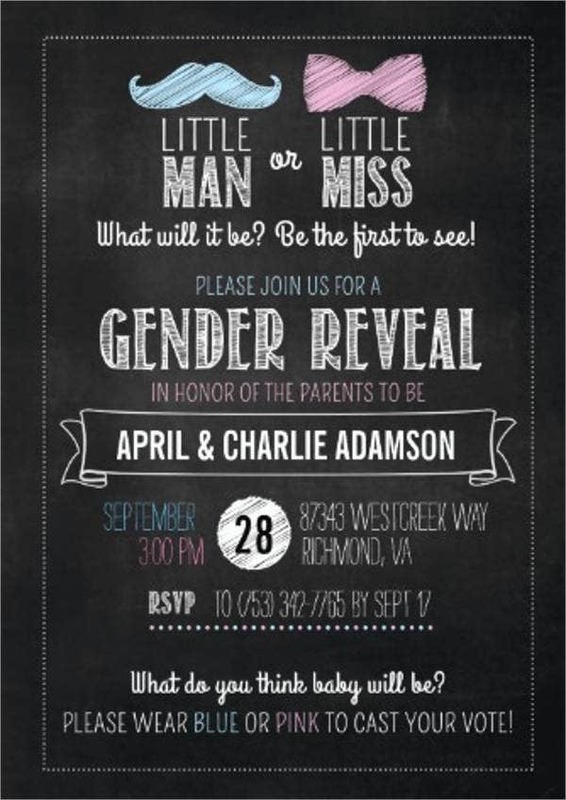 Video announcements and photo shoots may also be done during the gender reveal party if you have time to create them before the planned date of the gender reveal. 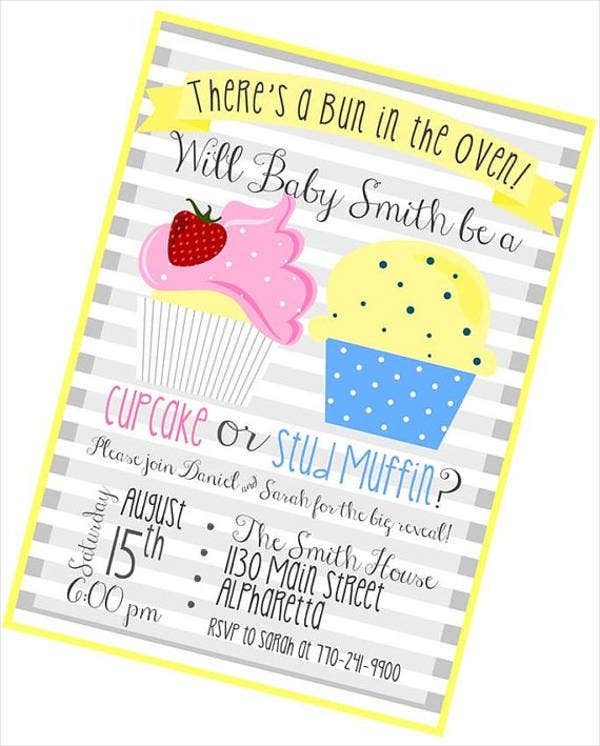 Other than our gender reveal party invitation templates, you may also browse through and download our Baby Shower Invitation Template samples.